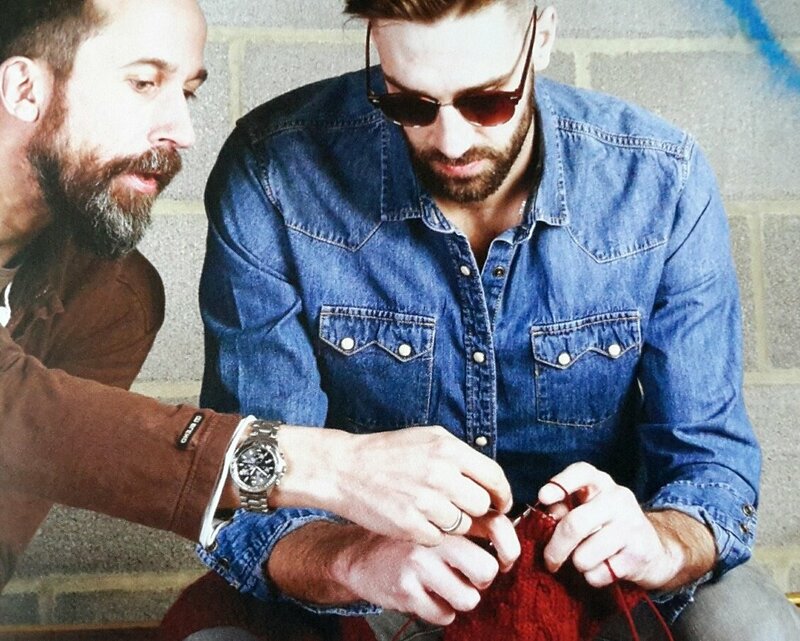 Wool@J13 launches crusade to get men knitting – with prizes on offer for those who give it a go! Tying in nicely with the event’s nominated cause – the testicular cancer charity, Baggy Trousers UK – the drive to get men knitting also reflects the involvement of male wool and yarn exhibitors at the event; notably the Sockmatician – aka Nathan Taylor – who will be giving workshops and signing his book “Guys Knit. The Instruction Manual.”, and Stafford-based The Crochet Man – aka Lee Norton-Griffiths, with his amazing crocheted animals. Other attractions at this year’s show include the ‘Shop ‘Til You Drop’ marquee, workshops, a fashion show presented by the Stafford Steppers, an A & E Dept., housing The Knit Nurse & The Crochet Consultant for help with any woolly questions & tangles, the ever-popular street food fayre and live music from ukulele-playing ex-punk rockers, The Daisy Dukes & Not Quite Dead Yet. The event will take place just 1 mile from J13 of the M6 – making it ideally placed for visitors travelling from far and wide. For those visiting as a family, Lower Drayton Farm’s friendly fun farm attraction can be accessed by ticketholders throughout the weekend; allowing younger visitors to meet the animals and let off steam on the adventure playground.